● Check the deals page for current savings on select destinations. Deals can include complimentary daily resort credit, free nights or breakfast, discounts on attractions, and up to 25% off hotel stays. Some deals are only available to rewards members, so consider signing up for Marriott rewards to receive member benefits and earn points with every transaction. Points can be used towards free nights, upgrades, shopping and more. ● 20-30% off leisure and 5% off business rates are the most widely applicable coupons that can yield high savings. Other available coupons can get you bigger savings, but usually on very specific properties/destinations only e.g. $100 off JW Marriott Desert Ridge, Phoenix, AZ, free night in Hawaii plus breakfast and upgrade etc. Sign up for email alerts on the top right of the page to stay informed about all current savings available to clients. If you're planning a vacation or a business trip, you will need to find accommodations and Marriott has hundreds of hotels around the world. On their website you will be able to search for different hotel room rates in the area that you're traveling to. You can also review the amenities that the hotel has to make sure that you have enough activities to do during your trip. If you already have a reservation with the hotel you can easily manage it by signing into your account. For the ability to earn discounts and points towards free nights, make sure that you sign up for their rewards program. 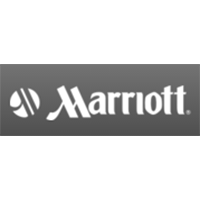 For most up to date offers check out Marriott on Facebook and Twitter or contact Marriott Support for any questions.